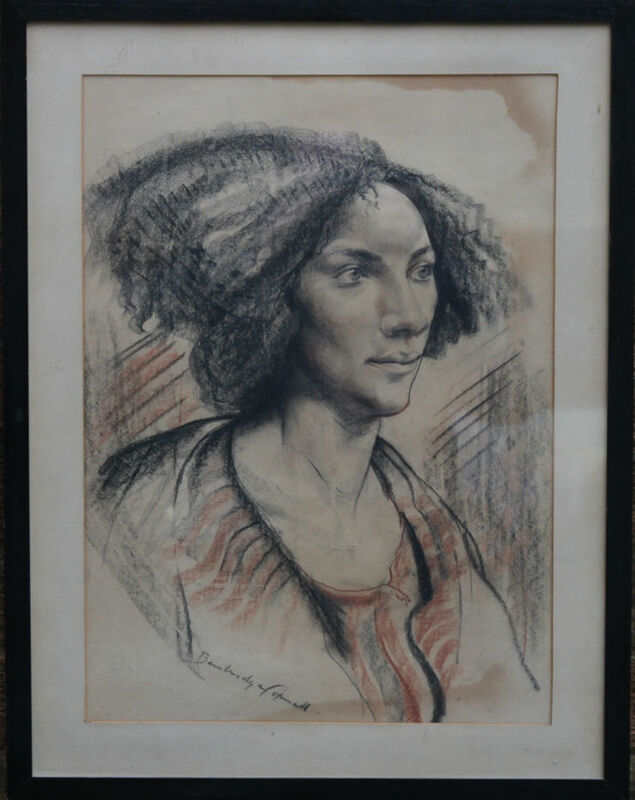 A dramatic head and shoulders portrait of a lady in colored chalks attributed to noted British artist Edward Bainbridge Copnall. This is just a stunning artwork which dates to circa 1940. Original gallery frame 21 inches by 18 inches. In excellent condition. Edward Bainbridge Copnall MBE (1903-1973) was a British sculptor and painter. He was best known for his architectural and decorative sculptures featuring allegorical and religious subjects. He was the President of the Royal Society of Sculptors from 1961 - 1966. Edward Bainbridge Copnall was born in Cape Town, South Africa in 1903 and moved to Horsham, West Sussex in England as a young child after the death of his mother. His father, photographer Edward White Copnall (born 1878, Isle of Wight), lived and worked in Horsham from 1915-1962. His uncle was Liverpool-based portrait painter Frank Thomas Copnall (1870-1948). The Copnall family have a long association with Horsham, the street Copnall Way is named after them. The exterior sculptural scheme for the Royal Institute of British Architects new building in Portland Place, London, completed in 1934, was an important early commission. In the Second World War he worked as a camouflage officer in the Middle East, building dummies as part of the military deception for Operation Crusader. 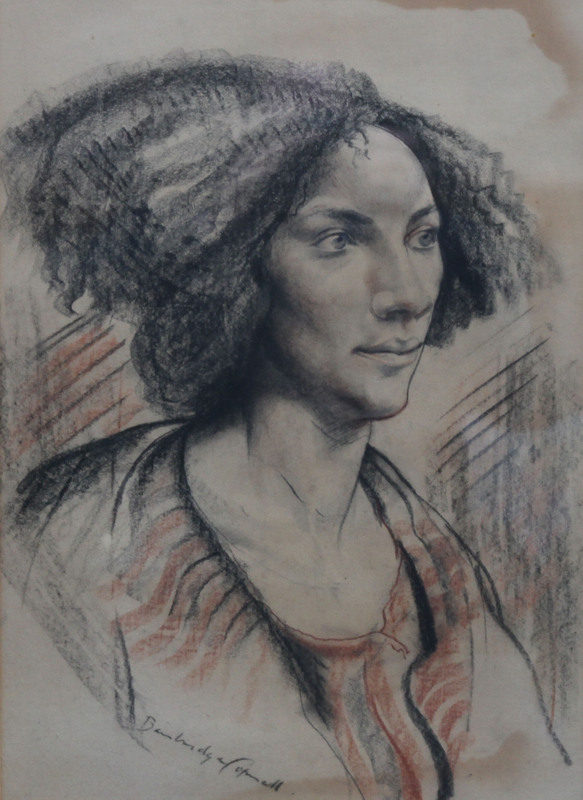 Copnall lived in Burma from 1955 to 1956, and completed 50-60 paintings, mainly portraits, during that time. He was also commissioned to do a memorial of General Aung San, the first Prime Minister of Free Burma. The statue was unveiled in Burma in 1955. He was president of the Royal Society of British Sculptors from 1961 to 1966. Bainbridge Copnall wrote A Sculptor's Manual, published in 1971, and Cycles: An Autobiography - The Life and Work of a Sculptor, published in 2001. His son is artist John Copnall (1928-2007).